proWhen I first heard about Project Noah, I thought of that ipad app which is called the same name. That iphone and ipad application is made for nature lovers. It centers for nature – organisms and ecosystem. 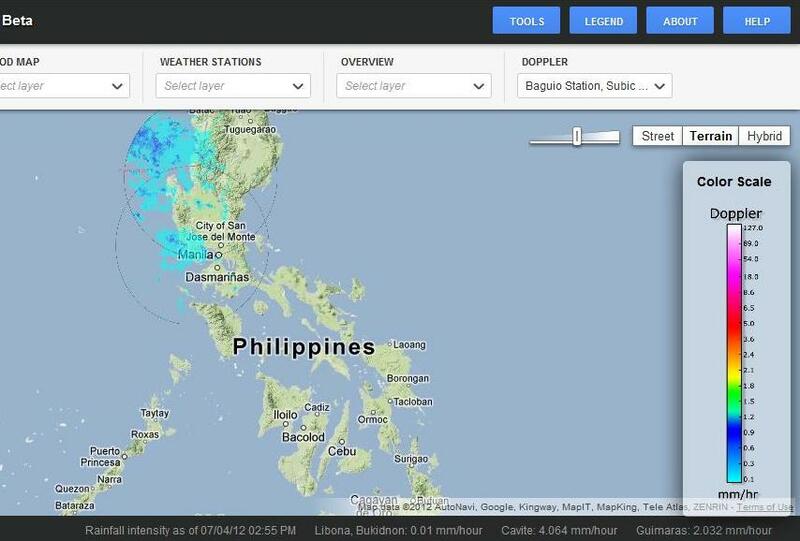 Now that DOST (Department of Science and Technology) released the beta test for the much awaited Project Noah in the Philippines, I’m here to give a little glimpse about it and its features. Ok, it’s not really that Project Noah’s Ark or that famous ipad app for nature lovers. NOAH stands for Nationwide Operational Assessment of Hazards . With that acronym, it is obvious what it is about. It aims to provide assistance and assessment to disaster prevention and warning against possible floods, typhoons and other disasters. Because the Philippines is prone to typhoons, tsunamis, earthquakes and volcanic eruptions, this project can help everyone especially warning agencies, LGUs and other sub-government units to provide information to everyone in their jurisdiction. NOAH project can also be used by anyone by going to their official website. The program also has some tools such as flood hazard which displays flood level depth and velocity. Rainfall intensity can be assessed regularly. Project Noah by DOST uses advanced science and technology, state-of-the-art instruments and methods to construct high resolution hazard maps and information through different media and communication platforms such as those tools mentioned above and Google maps. Scientists and famous organizations such as PAGASA, PHIVOLCS, and other agencies participate in making this project possible. What do you think about this app and new project? Have you tried using it? Share us your thoughts and experience below. This project has been going on now for several years, and besides a newer fancy website, the data is always way behind (or not reporting at all) from the dopplers. Actually the doppler reporting was better two years ago. The stream sensors (water levels) and other sensors are always stating ‘no data available’. The satellite images have no data or now predicted models. A nice idea, but badly implemented. For flooded areas what does it mean,,,red yellow and green?? Is dengue mosquito infestation during rainy season monitoring also included? Cool project – especially the rain forecast. I see you’re using G* Maps. Now, Yyou should definitely have a look at OpenStreetMap (http://osm.org/ ) and the Humanitarian OpenStreetMap Team (H.O.T., http://hot.openstreetmap.org/ ). If it fit’s to you open source software stack I eventually can contribute some code to calculate rain forecasts for any GPS location based on trajectories of (Doppler) rain radar images. Good work, what has been done so far?